What to get the man who has everything and who doesn’t eat cake eh, what a dilemma. 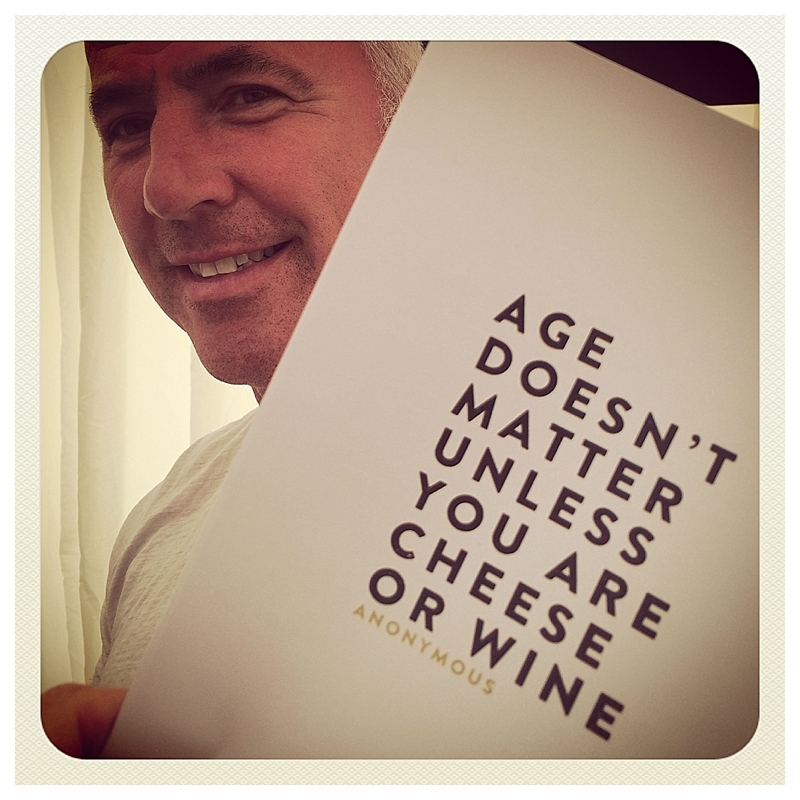 Luckily the Nantwich Cheese Show came to my rescue, perfectly timed for Mr M’s birthday. 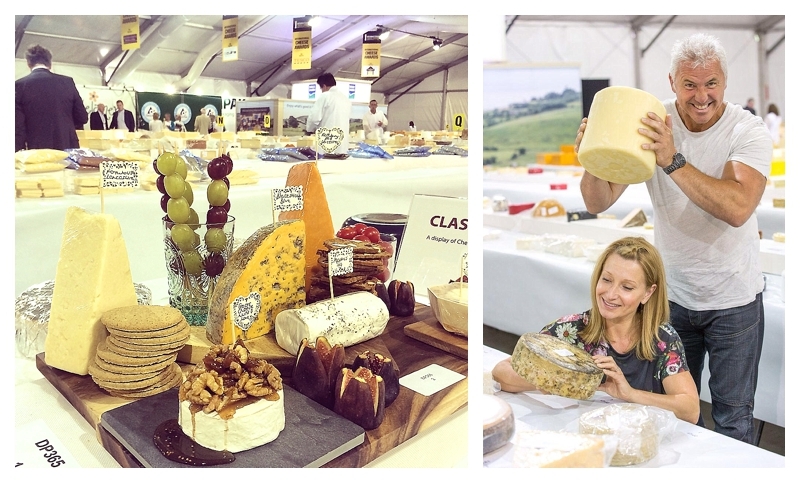 With two tickets and no breakfast, the aroma of over 4000 cheeses guided us to the depths of Cheshire and a great day of tasting, sniffing and buying commenced. In 2011 it was the sticky toffee pudding cheese which stood out as most the unusual find, let me tell you, things are even more adventurous for 2014. If you fancy wowing your friends with a brave cheeseboard this year, here are my tips: Seaweed, Truffle, Pesto, Curry, Chilli and Chocolate. I kid you not. And all were totally delicious, even in quick succession. The Old Irish Creamery did the curry, chilli and chocolate flavours, along with a host of others and were quite the most lovely couple too. Michael Gaynor from Cooleeney Farm had Mr M on the whisky, regaling us with tales of lost peppered Brie under office desks, whilst Padraig O’Farrell’s Carrigaline seaweed cheese made with Freisian cows milk and organic Donegal seaweed was amazing. I’ve noticed a resurgence in horseradish just recently, perfect for me as I love the stuff! 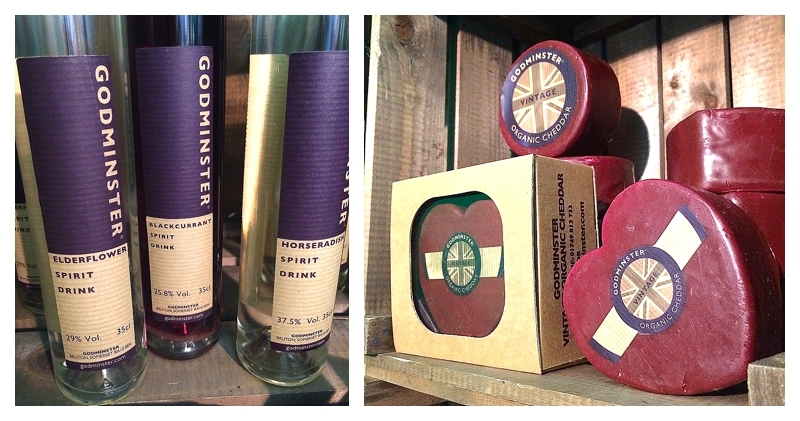 The charming stand by Godminster Farm included some lovely smoked organic cheddar and a spectacular sounding horseradish vodka, now on my Christmas list for adding ooopmh to my festive Bloody Marys. 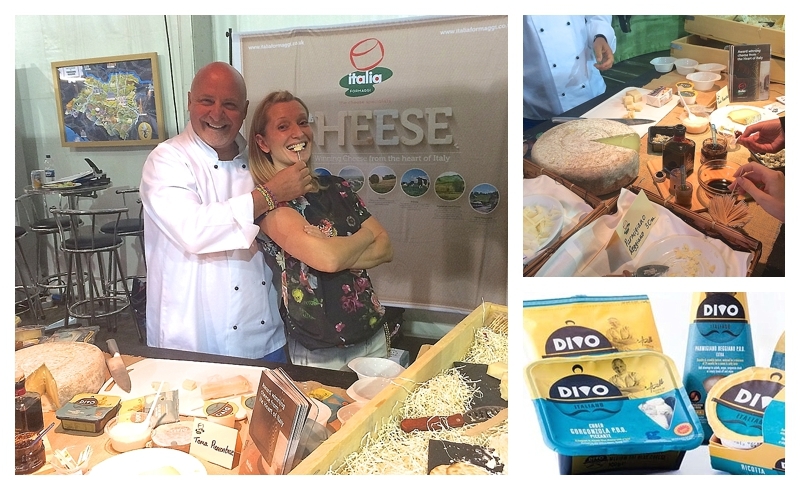 Having worked in telly a bit (not a lot, just a bit), it’s rare to find stars as friendly and loveable in *real* life, sometimes the beaming smiles switch off when the camera does 😉 Not so with tv chef Aldo Zilli who we had the pleasure of chatting to on his stand for new range DIVO, Italian cheeses designed for full flavour and minimum fuss, with for e.g., a ready chopped gorgonzola to add vavavoom to your pasta. The cheeky monkey knew how to shut up a rabbiting blogger – feed her cheese! 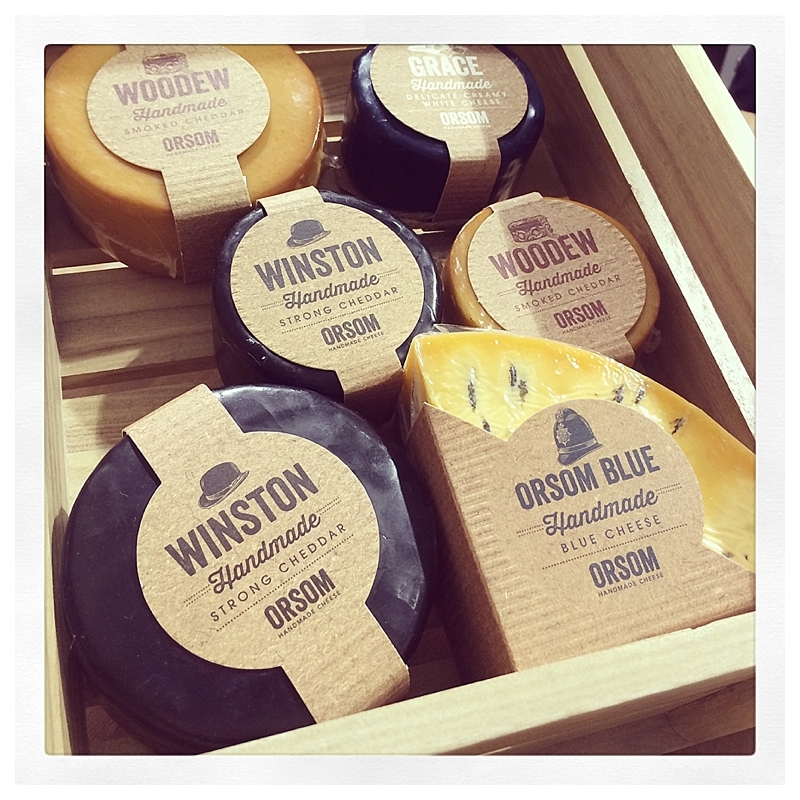 How to shut Sian up – use cheese! 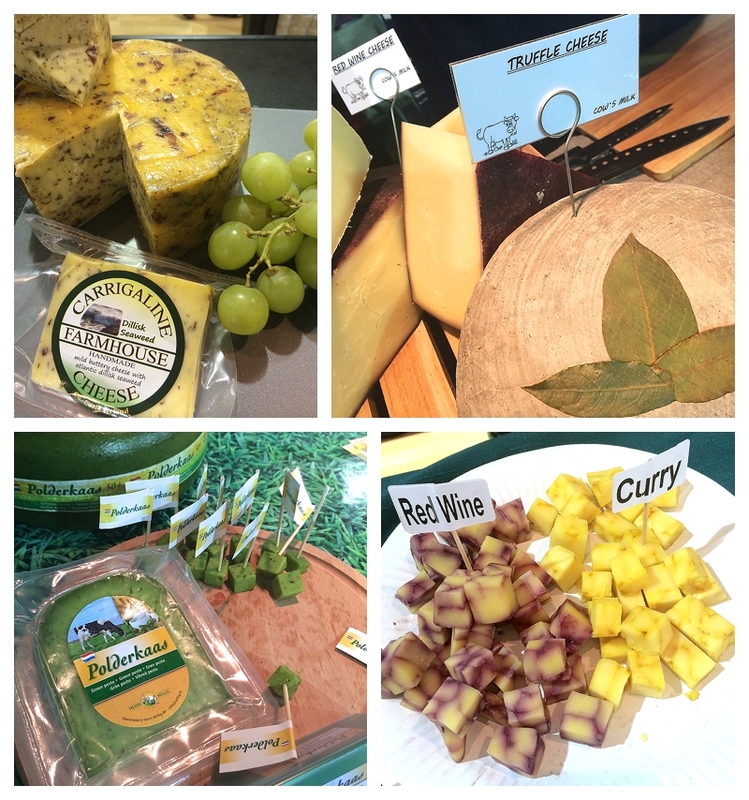 Watch out for some cheesy recipes coming up this week as I cook up a storm with all our buys!